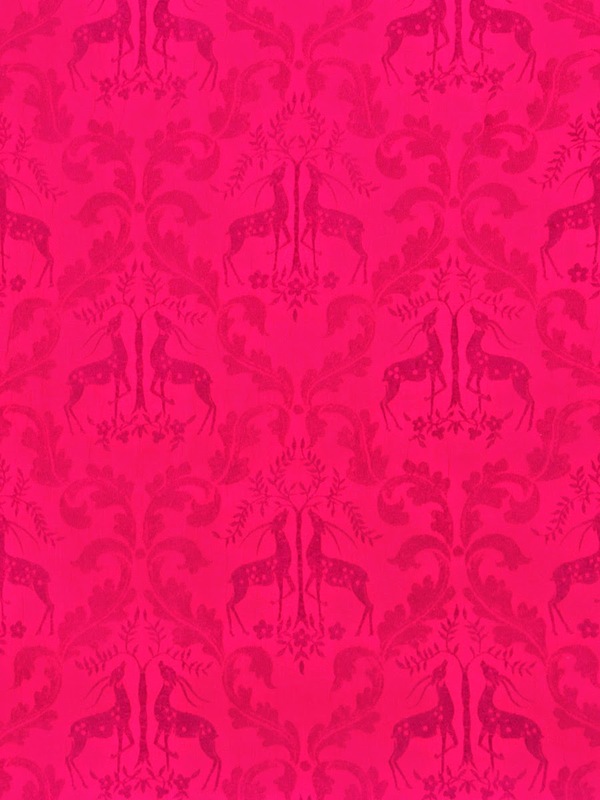 A client called to ask me about this fabric, called Gazelle, and it occurred to me that I'd never included it here before. It's a real charmer. So I decided to show it to you today. I know that many of you love rugged and handsome in the mountains, but I just can't help myself. I'm a lover of pretty. And this fabric is just that. Pretty. 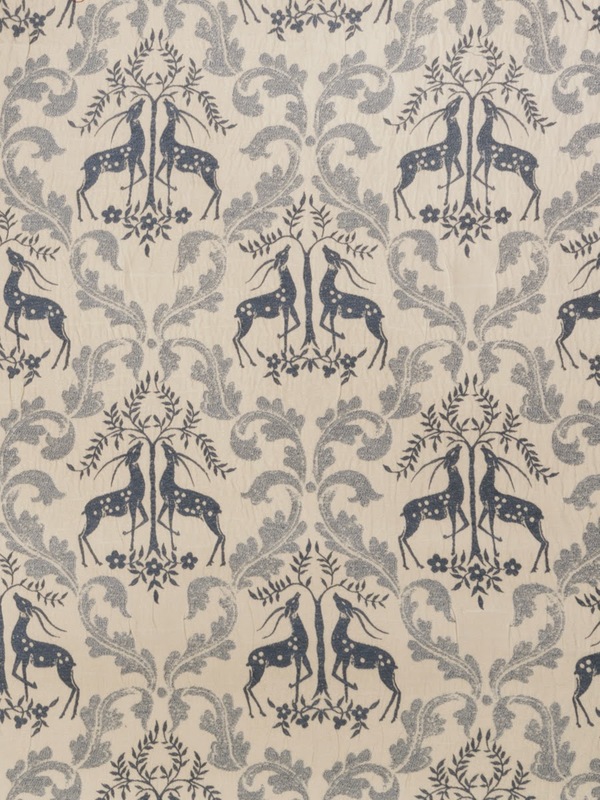 I'd use this in a heartbeat for curtains in any mountain bedroom. 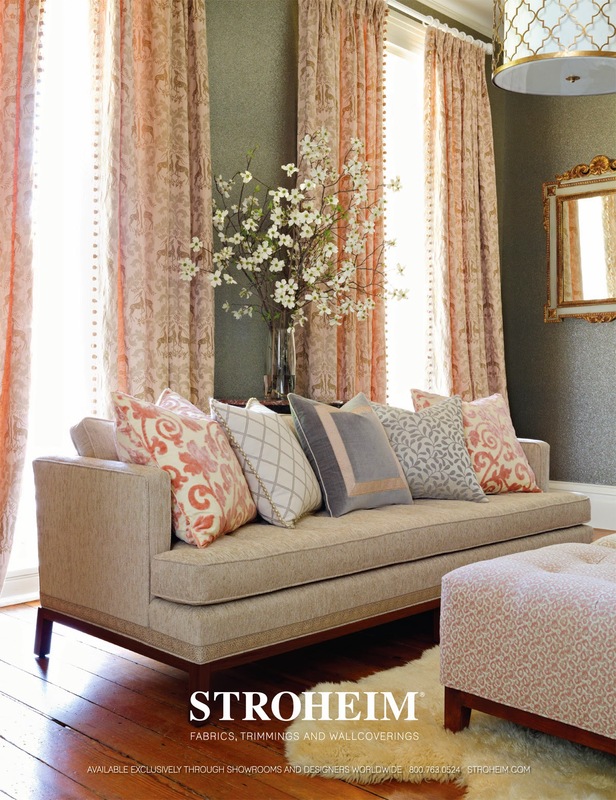 I love curtains and I always recommend them to clients. They really soften up all the hard stone and log surfaces we use in mountain architecture. 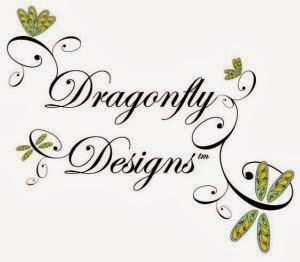 They help make rustic rooms human, comfortable and cocooning. Without curtains, some of these rooms can tend to make one feel lost, lonely and vulnerable. See how pretty this makes up into curtains! I'd also use Gazelle for bedding, of course. It's a natural for Euro shams. 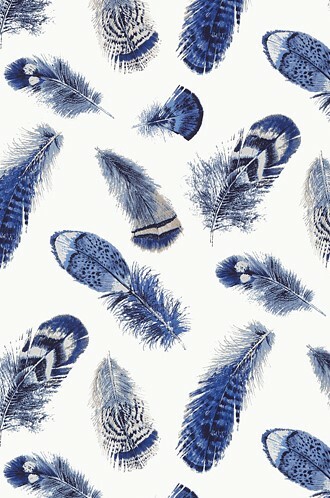 And, if you have the budget, it would make a gorgeous quilt or duvet cover. Given my druthers, I'd mix it up with some nubby heavily textured fabrics. Yes, that's how I'd go...curtains and Euro shams in Gazelle, and the rest of the room in heavy, nubby linens in solids and subtle woven window-pane checks. Beautiful! 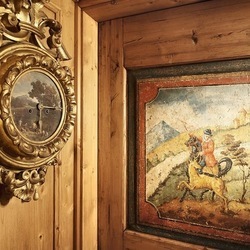 The room below is a boy's bedroom I worked on a number of years ago for a client. 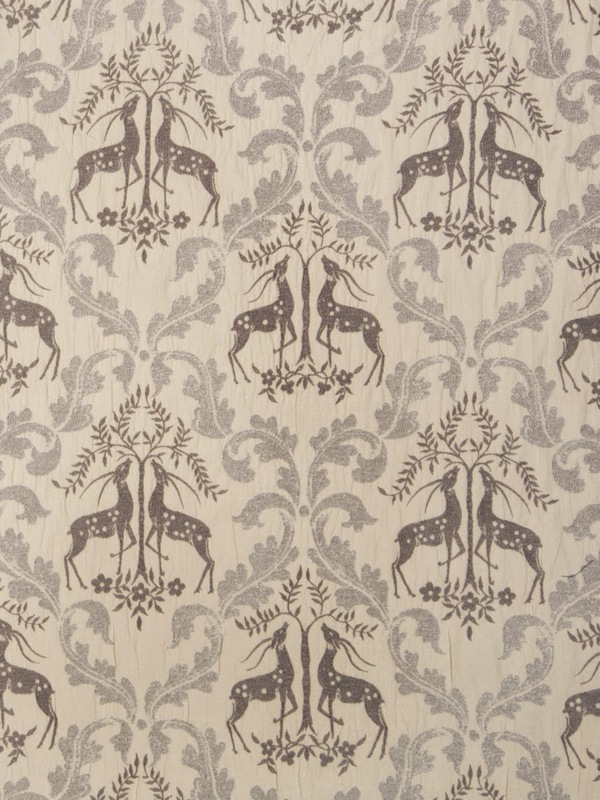 The curtains and duvet cover were made up in an old Schumacher stag pattern named Woburn Meadows, which was very similar in pattern to Gazelle. The green colorway has been long ago discontinued, but the red remains a steady favorite. I can't even tell you how many times I've used this pattern over the years. So many of my clients have loved it. 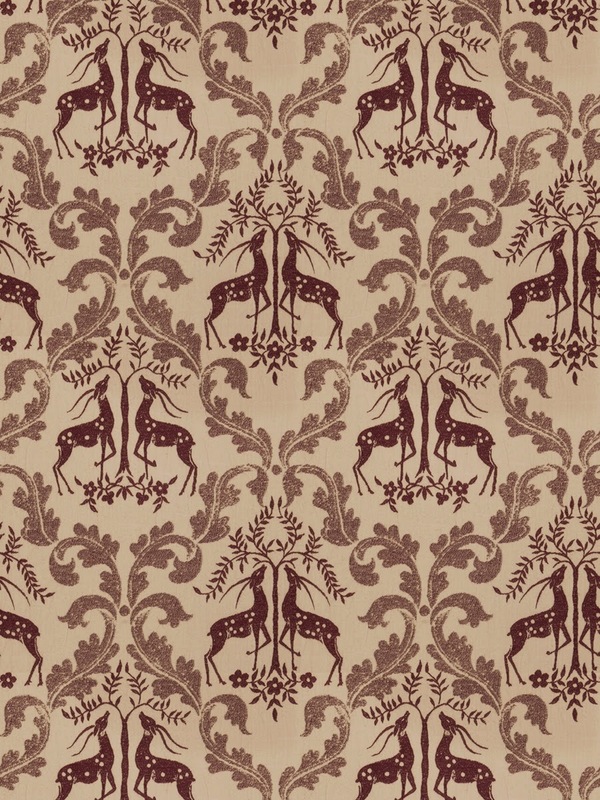 Woburn meadow is actually very similar in both pattern and scale to Gazelle. 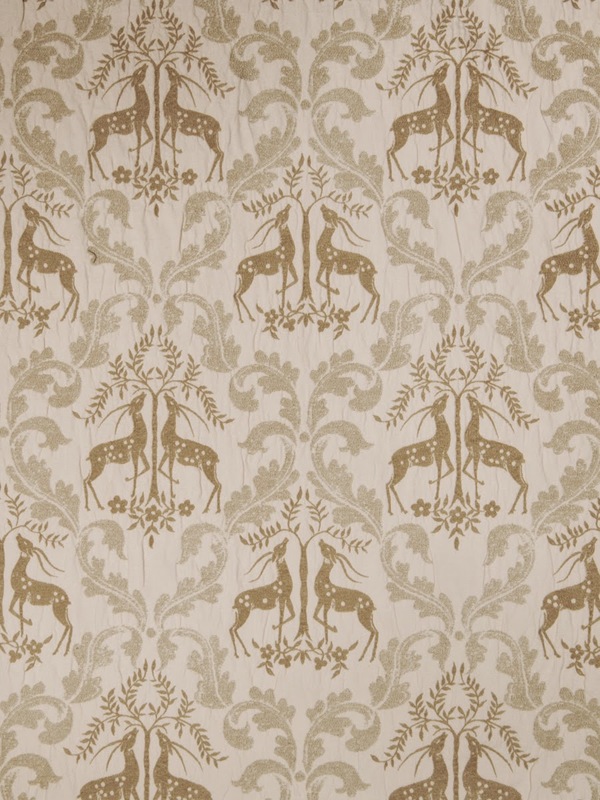 Which do you prefer... the light airy look of Gazelle, or the darker, more masculine look of Woburn Meadow? 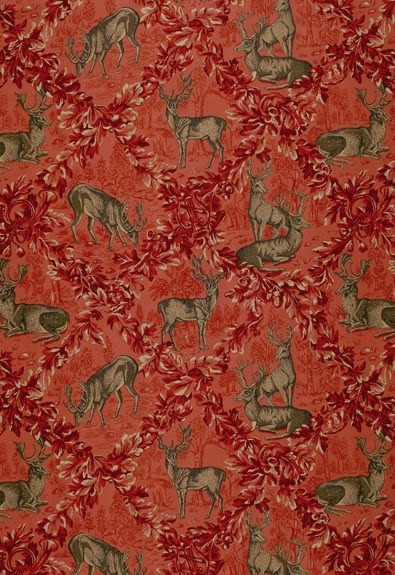 By the way, we have a lot of stag inspired fabrics in our online store. Click here to see them all.